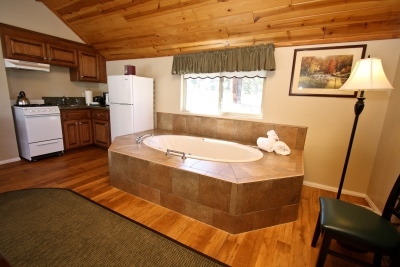 One-bedroom cabin with a jacuzzi tub. Upscale furniture. Front porch. 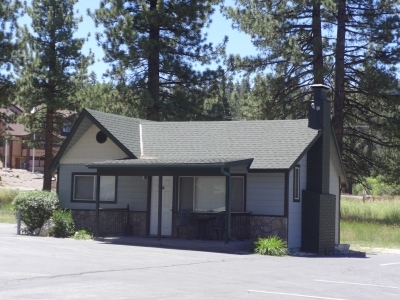 Bedroom: Queen-size bed, down alternative comforter with duvet cover, alarm clock with MP3 line-in. 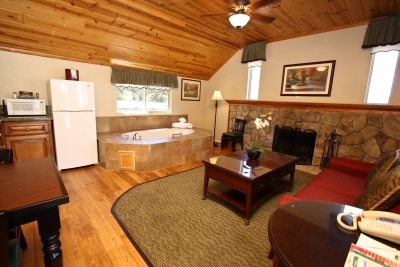 Living room: Full-size sofa bed (recommended for two small children), wood-burning fireplace, jacuzzi tub, telephone, 32" flat-screen television and DVD player. 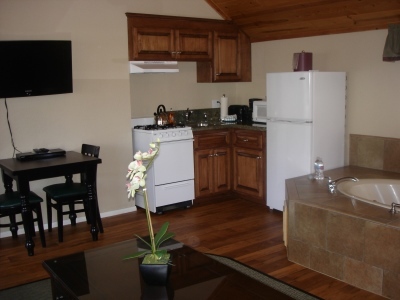 Kitchenette: Granite counter top, refrigerator, oven, microwave, coffee maker, toaster, dishes and utensils. 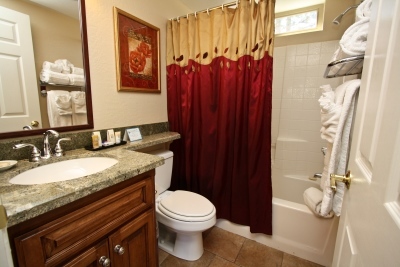 Bathroom: Granite counter top, bath tub, tile floor, hair dryer.